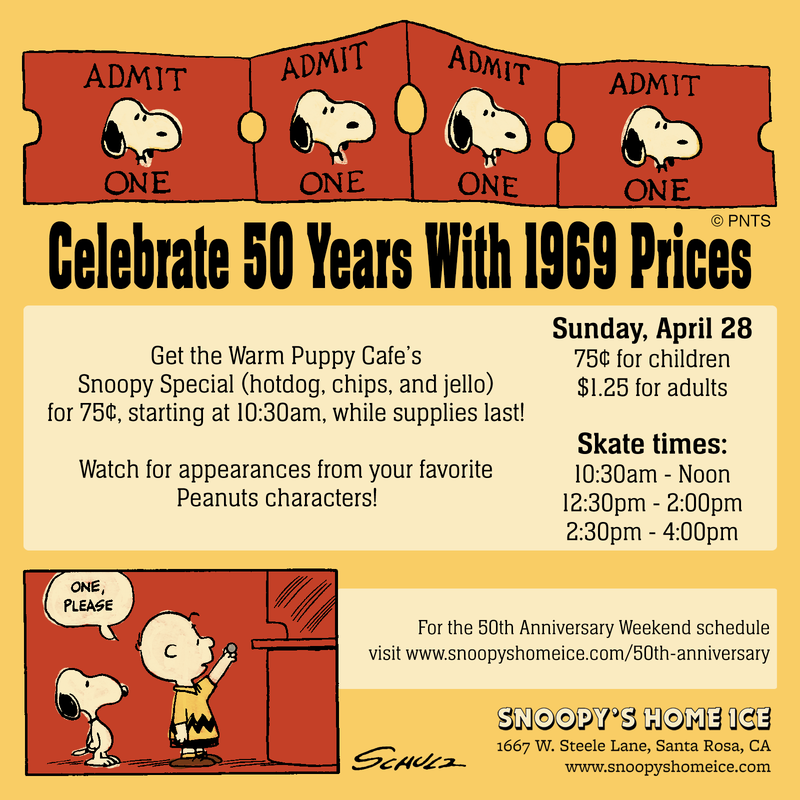 Celebrate the 50th Anniversary of Snoopy's Home Ice with 1969 prices! 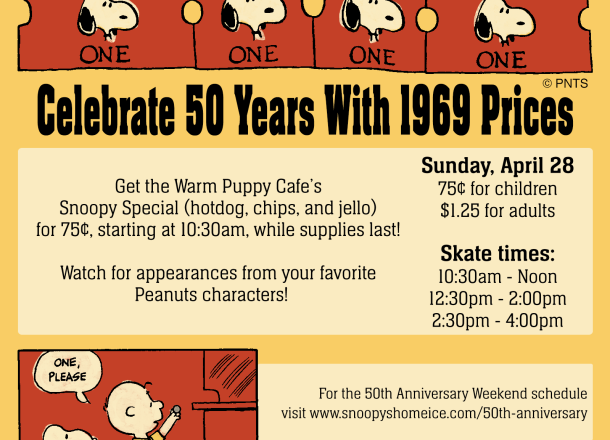 The Warm Puppy Cafe will be serving its 1969 Snoopy Special (including hot dog, chips and jello) for .75 cents starting at 10:30 AM while supplies last. Special appearances by members of the Peanuts Gang! A limited supply of tickets will become available at the Box Office. Visit http://northbaygunsnhoses.org/ for more information.